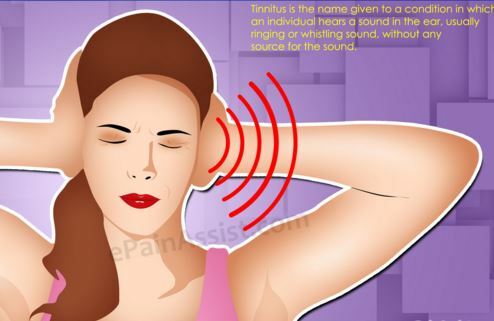 1 What is Pulsatile Tinnitus? Pulsatile tinnitus is a hearing disorder, individual often hear the heartbeat like sound inside the ear. 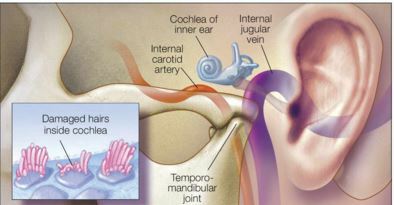 This disorder arises due to liquid is assembled with a small blood vessel in the eardrum. Usually this symptom did not create any serious health problem, but often develops as irreversible condition. It may be a symptom of various serious disease conditions such as generation of tumour in head and neck region, stiffness of the arteries, etc. Often pulsatile tinnitus is reported with inner an ear disorder. Hyperthyroidism or anaemia can cause irregular blood flow and often generates pulsatile tinnitus. Body imbalance, especially during walking. Noise pollution: Exposure to high volume noise obtained from different electronic music players; even too much talking over the phone, often causes pulsatile tinnitus. Even long exposure to high volume sound also can permanently damage audibility. Blockage due to accumulation of debris: Ear canal can be partially or fully blocked due to accumulation of debris which causes pulsatile tinnitus. Otosclerosis: Stiffness of ear bone present at the middle ear may cause pulsatile tinnitus. Associated ear disorders which include Meniere’s disease, TMJ disorder and Acoustic neuroma also develop pulsatile tinnitus, as an initial symptom. In Meniere’s disease, fluid imbalance occurs in inner ear. In TMJ disorder, the abnormality occurs in tempero-mandibular joint which connect head, ear and jaw bones and causes pulsatile tinnitus. In Acoustic neuroma, development of the benign tumour on the auditory nerve can cause imbalancing and hearing impairment. Head or neck injuries. Head or neck damage can cause auditory nerve impairment and pulsatile tinnitus may occur in one ear depending upon the site of the damage. Cardiovascular diseases can also generate pulsatile tinnitus. In hypertensive patient or high blood cholesterol make pulsatile tinnitus. Narrowing of carotid artery or jugular vein causes uneven blood flow in the inner ear which causes pulsatile tinnitus. Capillary network dysfunction also causes irregular blood flow and outcome can be pulsatile tinnitus. Antibiotics (erythromycin, polymyxin B, neomycin and vancomycin), chemotherapeutic agent, diuretics (furosemide, bumetanide and ethacrynic acid), antimalarial drug (Quinine), anti depressant drugs and NSAIDs (Aspirin) generates or worsen the condition of pulsatile tinnitus. Withdrawal of drugs reverses the condition. Blood test includes Thyroid hormone amount identification as hyperthyroidism causes irregular blood flow. Spinal tap determination helps to determine the fluid load on the brain and spinal cord. The treatment of pulsatile tinnitus is underlying reason specific, means most of the cases pulsatile tinnitus is developed due to other associated underlying cause. Some training session like Tinnitus retraining therapy (TRT) and cognitive behavioral therapy (CBT) helps to improve the self control and also reduce the awareness of this inner ear sound. Excessive noise worsens the condition, so better to avoid exposure in loud sound or noise pollution. Some specific disease like TMJ dysfunction or aneurysm also causes pulsatile tinnitus. Dental treatment helps to correct the TMJ dysfunction by realigning of tempero-mandibular joint. In aneurysm, reduction of inflammation of the affected artery can improve the condition of pulsatile tinnitus.